Not really a lot new to report. After the models finally began to come together last night, the model runs made during the daylight hours today are -- again -- all over the place once the forecast storm gets north of Cuba. 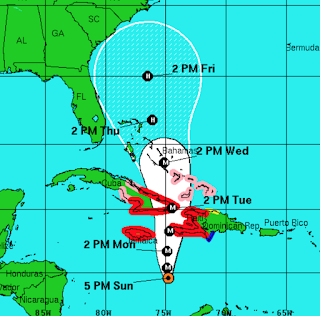 Here is the latest forecast from the National Hurricane Center. I'll update again tomorrow morning.